Serving Flagstaff, Sedona and all of Northern Arizona! Building trust for 35 years! Contact our expert team today! 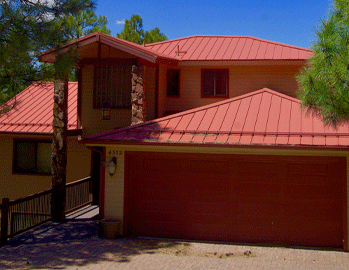 The team at Arizona Metal Roofing has been in the metal roofing business for more than 35 years. Our sole purpose is to provide customers, homeowners and contractors with high quality roofing materials and installation. Arizona Metal Roofing uses a roll forming machine that fabricates metal roofing onsite. This means every part will be custom to your project. Metal panels will be the exact length, metal trims will be produced at the correct angle and only the highest quality materials will make it onto your roof. When working with Arizona Metal Roofing, you can be certain that you are getting the best product and service available! 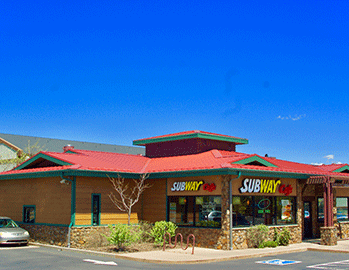 Arizona Metal Roofing installed the metal roof, fascia wraps, and Corten metal wall panels for the Subway in Flagstaff, Arizona. 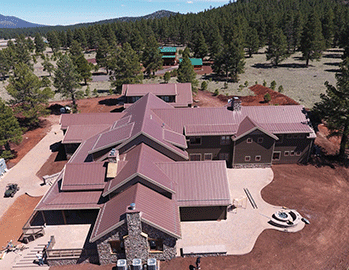 AMR installed metal roofing and metal trims and snow guards on this 24,000 sf home in Northern Arizona near Williams. 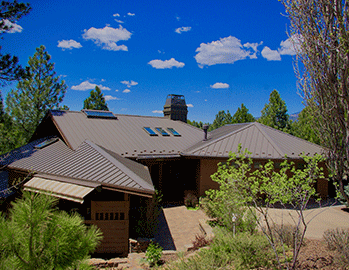 Installed pre-finished weathered steel metal roofing on this mountain cabin in Northern Arizona. 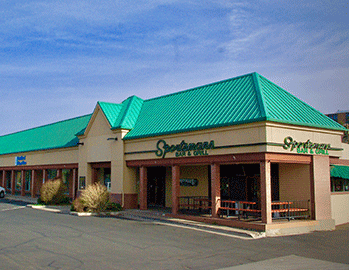 AMR installed metal roofing, metal soffit, metal fascia and metal trims at this commercial shopping center in Flagstaff, Arizona. Installed and fabricated the metal roofing and snow guards for this home. AMR services Flagstaff, Sedona, Verde Valley and surrounding areas. Installed and fabricated metal roofing and metal trims on this home. AMR installs in Northern Arizona including Flagstaff, Sedona and surrounding areas. "AMR installed my metal roof several years ago on my Subway Cafe, located on Butler. I couldn't be happier with the quality and professionalism that Larry and his crew maintain. I would highly recommend using AMR." We are so in love with our metal roof!! It was a pleasure working with Arizona Metal Roofing. We are extremely happy with their professionalism and very grateful for their help in picking the BEST for our house. 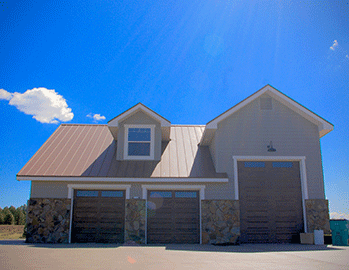 Arizona Metal Roofing is an excellent company that strives to fully satisfy. This is the only company that truly listened to my desires and executed the project in my limited time frame. They have a trustworthy and hard working group of craftsmen. The end result was everything that me and my family could have ever imagined. You can not go wrong with Arizona Metal Roofing! Are you ready for the protection and aesthetic that a metal roof can provide? Please call us or fill out the contact form. One of our expert roofing team members will reach out to you to answer any questions that you have. We look forward to speaking with you soon!